You’ve probably heard of Machiavelli, the author of The Prince, whose advice, ‘The means justifies the end’ has been taken out of context for several hundred years. What you may not know is why he wrote The Prince. Like many of us, Machiavelli was a medieval ‘knowledge worker’ offering his services to government bodies, particularly those who needed a little strategic direction. He wrote the book as a deluxe calling card, hoping it would open to gates to patronages (read: contracts) and court appointments (consultancy). What’s interesting is that you can do the same. Here’s an idea. Let’s say you knew you’d be made unemployed in 12 months. And local employment opportunities were limited. What could you do to give yourself an escape route and increase the likelihood of finding more work. The answer may be in writing White Papers. 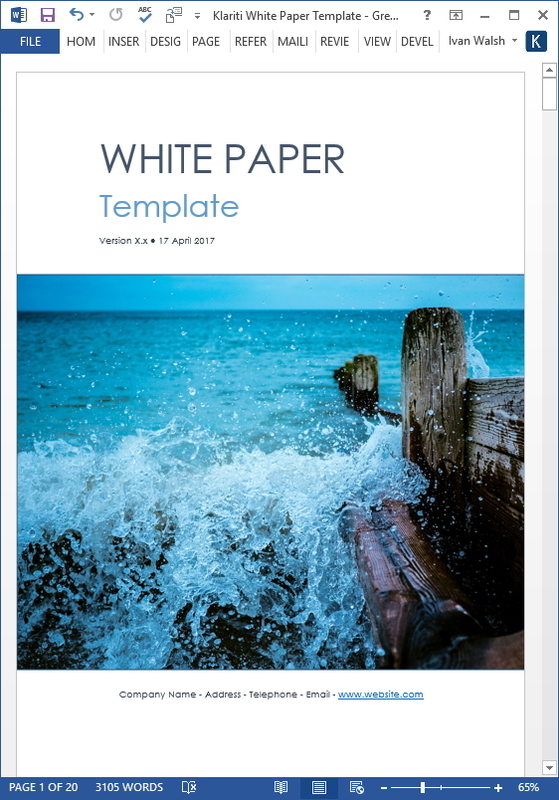 White Papers are written for decision makers. Unlike other sales and marketing documents, the target reader HAS funds at his/her disposal. They just need to be convinced. If you have decent business writing skills, this presents some interesting opportunities. Create an Online Portfolio – setup a blog focussed around white paper writing. Learn how blogging and SEO works so you start to appear in the search results. Give Free Samples – share sample white papers so potential customers can see what they’ll get. Don’t go cheap and hire a graphic designer on ODesk.com to create some nice logos and maybe layout the document in PDF. You can do all this for less than $50. Be the Expert – saturate as many media channels with your content so you become positioned as a leading White Paper writer. When others need some one with your skills, your name comes up. Specialize – don’t fall into the trap of writing for all industries. You can significantly increase your rates by specializing in verticals and sectors. Banking, Pharma, Energy, and Health all pay very well. Be Mobile – make sure others know you’re ready to travel. So, have your passport ready in case that call comes in. Rates – Don’t put these on your site. Instead, add a contact form, gather the requirements, and come back with a quote. If you want an idea of what to charge, send requirements to other White Paper writers and see what they charge. Start Now – don’t wait til the fire starts (i.e. you finally get made redundant or work dries up), start to contact local companies and offer your services. The best people to contact are not HR (whose job is to scan you out), but the actual business owner. This is the person you’ll need to convince, so have some good case studies prepared that you can email over. Then be patient and wait. The great thing about setting yourself up as a White Paper writer is that you get a little more respect than most business writers. I dont know why but you do. Also, the pay is very good and once you get a framework in place for writing the documents, you can write a White Paper in less than 3 days. Actually, gathering and reviewing the research material will take the most time. Once you understand the subject matter, the actual typing should come quickly. Have you tried to make money from writing White Papers? If not, what concerns do you have? How can we help?